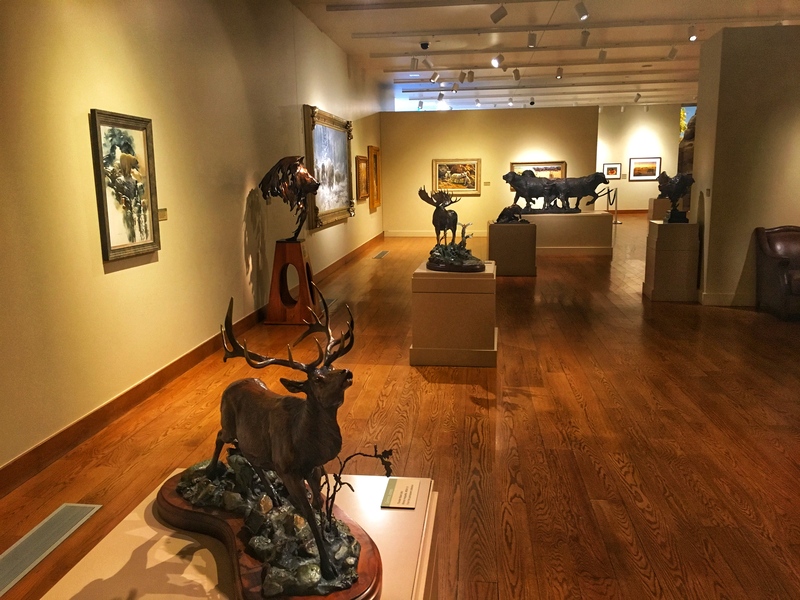 I discovered this museum while searching online for interesting things to do in Colorado. I never would have found it any other way because the word museum doesn’t appear in the name of the “museum” or on the signage anywhere near the building. 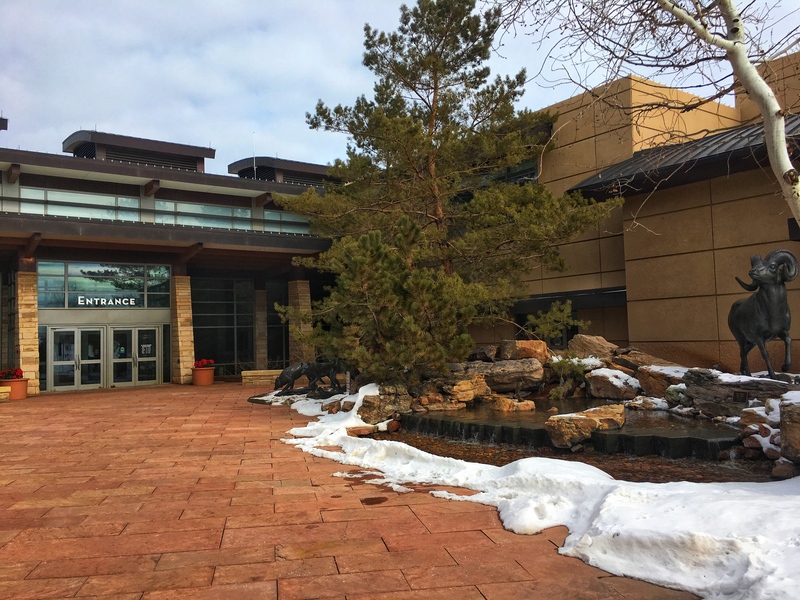 My GPS took my to a large building in Parker. I walked across a plaza past several animal sculptures that at least felt museumish. From behind a counter in the lobby, a young woman gave me a friendly greeting. I asked, “Is there a museum here?” She assured me that there was, and got very excited as she explained how I was to navigate the space. Rarely have I paid to see something I knew so little about. The museum had three major areas. 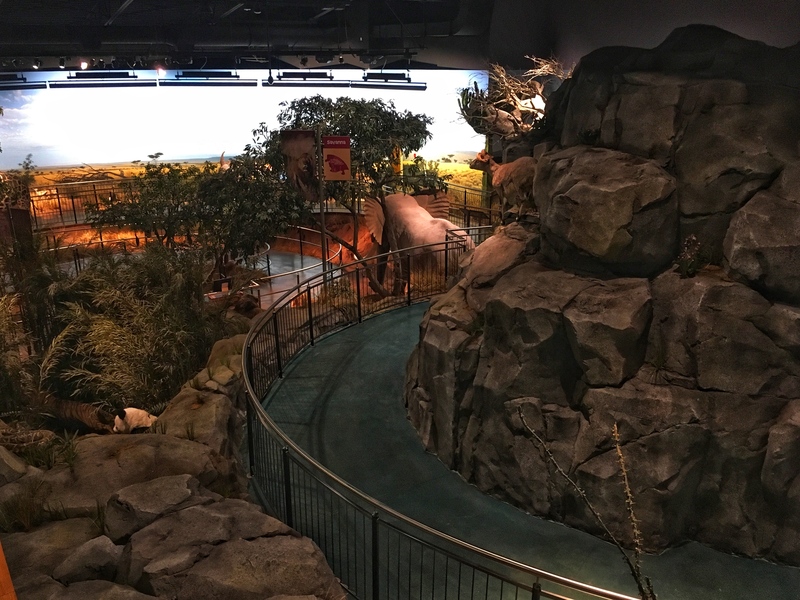 The first was a large room with a winding walkway that passed through several different environments—rain forest, tundra, desert, etc. There were animal figures, and even a few human figures along the way. Many of them were animatronic, but a lot of them weren’t. And many of those that were were only minimally so. I had to watch very carefully to see any movement. Here are a few examples. The human figures would talk to me when I pushed buttons on a screen. The rest of the time, they just froze in place—except for an occasional blink or turn of the head. It was more than a little creepy. The exhibit wasn’t large, but it was impressive. I saw maybe four other real, live humans in the room while I was there. The second section featured Colorado wildlife. There were mounted specimens of many of the local fauna, but as near as I could tell, none of them moved. The third part of the museum was an art gallery, donated by some rich folks. I had this part entirely to myself. 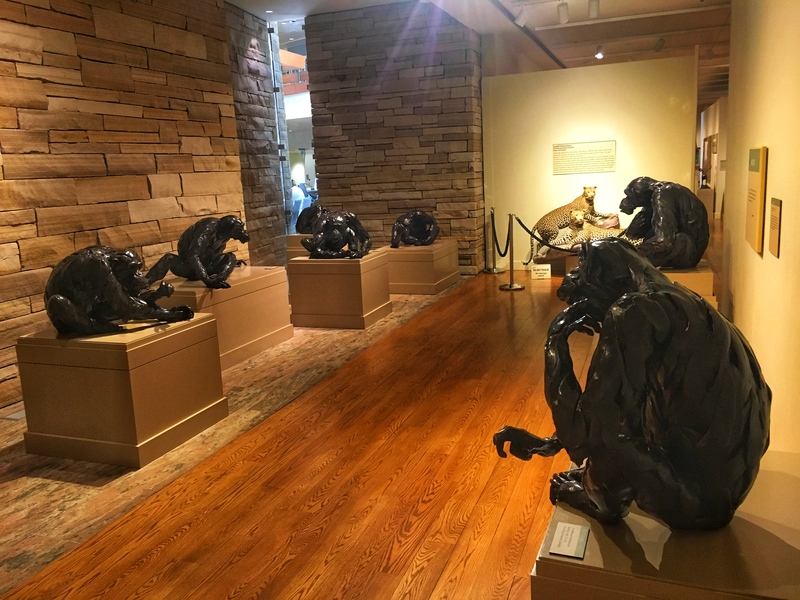 One exhibit featured seven chimpanzee statues. I had some fun with these. And that was pretty much it. The whole museum took me about an hour and a half and taught me nothing. But as a way to kill a Saturday morning when I was recovering from a flu-type bug, it was delightful.